Lars Eggert is Technical Director for Networking in NetApp’s Office of the CTO based near Helsinki, Finland. Lars is a senior networking technologist with deep expertise in areas such as architectures, system and protocol design, and virtualization. Based on his understanding of technology trends, he drives NetApp’s networking agenda by bridging the gap between academic research and product development through in-house R&D projects as well as university and industry collaborations; leading to product improvements, key IPR, open source contributions, directions for M&A and other funding decisions, and numerous academic publications and standards contributions. 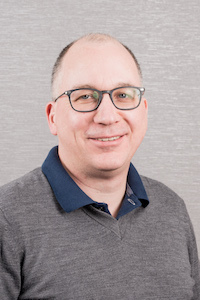 Lars has been leading Internet standardization as part of the steering group, architecture board and as working group chair of the IETF for over a decade, and has chaired the IRTF, the IETF’s research arm. He is a senior member of the ACM and the IEEE, and serves on the program and organization committees of academic conferences such as ACM SIGCOMM and IEEE Infocom, as well as other boards, such as ACM SIGCOMM’s Executive Committee and Industrial Advisory Board. Lars received his Ph.D. in Computer Science from the University of Southern California (USC) in 2003. Before joining NetApp in 2011, he was a Principal Scientist at Nokia and served on the corporation’s CTO and CEO Technology Councils of senior technology experts. From 2009-2014, Lars was an Adjunct Professor at Aalto University, Finland’s top technical university. From 2003-2006, he was a senior researcher at NEC Labs.